Eros Pisano will join the Robins from 1 July, on a two-year contract, his first venture into English football. Bristol City are pinning their Championship hopes on a defender who began his career at the club a decade ago. Scott Golbourne joins the club from Wolverhampton Wanderers, as they seek to add to their squad ahead of Monday's transfer deadline. They've secured the signing of the Wolves left back for an undisclosed fee. The 27-year-old first joined City as a schoolboy, and was a product of the academy before he made his debut at the age of 17. After a brief spell in the first team, left to join Reading ten years ago and has since had a host of stints at Exeter City, Barnsley and Wolves. But now the Bristolian is now back at Ashton Gate. A cousin of another former defender, Matthew Hill, Golbourne has penned a two-and-a-half-year contract after undergoing a medical at Failand. Scott is a Bristol lad and that’s important to us. He’s a left-back. At the moment we’ve either got Joe Bryan, who’s more of an attacking force, or Derrick Williams, who is more of a defensive type. It’s about getting that balance in between. Scott has been here before, he’s athletic and someone we need for this football club. Top of the table took on bottom of the table last night in a crucial West Country derby. Yeovil Town remain deep in trouble at the foot of League One after losing at home to top-of-the-table Bristol City. City's Joe Bryan had this to day after the match. But despite the grim outlook for Yeovil, manager Terry Skiverton remains positive. A six-year-old Bristol City fan with cerebral palsy will be returning to his unofficial team duties to lead the squad out at Wembley. Oskar Pycroft will be first on to the famous pitch in his wheelchair in front of the team as they face Walsall in the Johnstone's Paint Trophy final. The club have given their backing to a campaign to raise money for an operation in America which could help Oskar walk. The youngster has currently raised just over £37,000 of the £50,000 needed. In November the youngster led City out ahead of their match against Preston North End, which saw the club raise £15,000. He will join more than 50 supporters who will be trekking from Bristol to Wembley on March 22. Oskar is so popular amongst the dressing room and I think it’s great that he’ll be leading us out at Wembley. It will be a great day for him and his family. 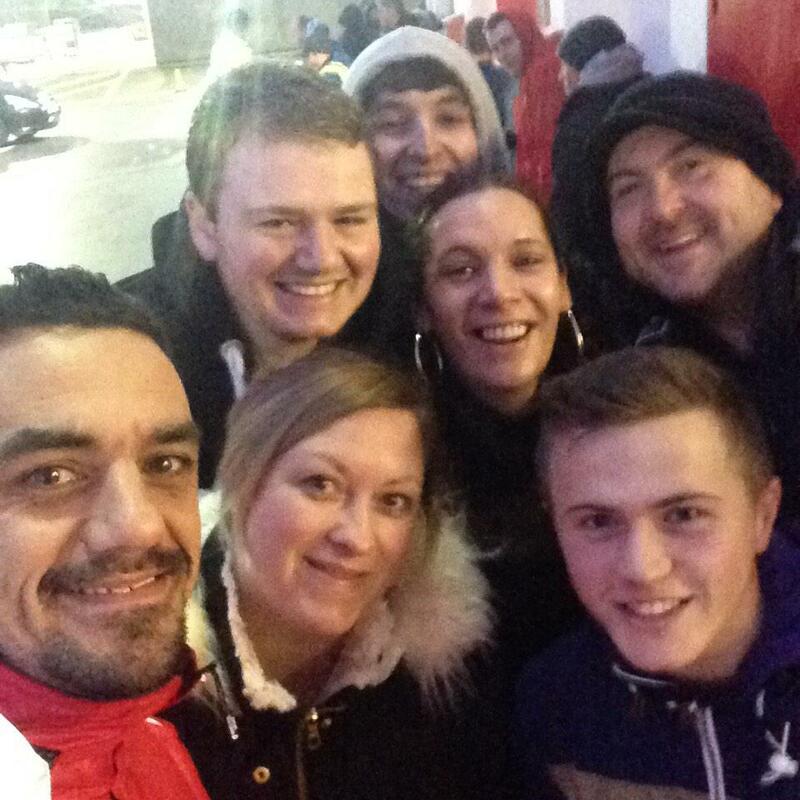 Former Bristol City winger Scott Murray has tweeted a photo with fans at Ashton Gate queueing for tickets for this Sunday's FA Cup fourth round tie with West Ham. Tickets go on general sale at 9am. Season card holders and members have already claimed theirs. The stadium's capacity is limited to just 13,000 due to ongoing building work. Bristol City manager Steve Cotterill was frustrated at his team's defensive lapses which cost them two points against Bradford City even though they set a new club record of 14 matches unbeaten since the start of the season. Despite Aden Flint's double, City were twice pegged back at Ashton Gate but still extended their lead at the top of League One to six points. Bristol City manager Steve Cotterill and his team can create history tonight if they avoid defeat in their home game against Bradford City. Middlesborough manager Tony Mowbray has told his club's official website that the transfer of Albert Adomah from Bristol City to 'Boro is 'either done or very very close to being done'. Adomah arrived in Middlesborough yesterday before their 3-1 defeat to Accrington Stanley in the League Cup. The move is expected to be officially completed later today. Matthias Kurth looks ahead at tonight's games.